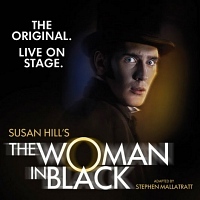 Play based on the 1983 ghost story by Susan Hill adapted for the stage by Stephen Mallatratt. The play made its debut in 1987, in Scarborough, before a long run in London - it is the second longest running play in West End history, after Agatha Christie's 'Mousetrap'. The Woman in Balck was also adapted for television in 1989.